It was a charm once again to work on boutique displays for Vitrine Collection XVI. 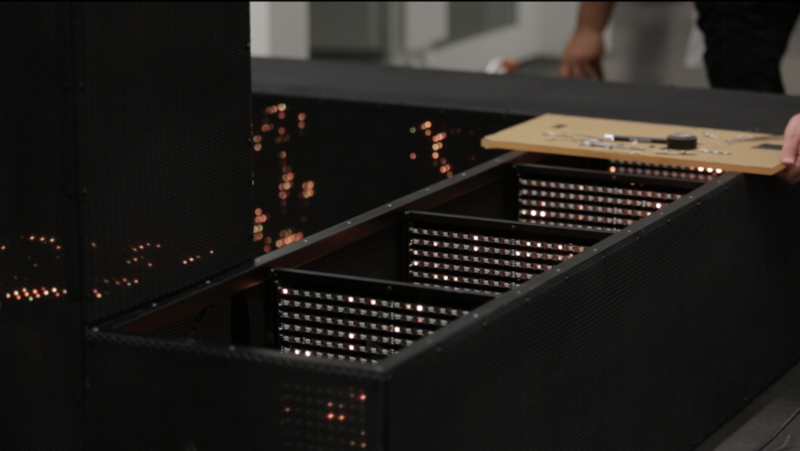 Each Art Piece contained approximately 11,200 LED's and 3,360 individual solder points. We can proudly include “snake charmer” as a unique skill set here at SCPS. For this adventurous project with fashion icon and lifestyle brand Yves Saint Laurent, we produced captivating experiential boutique displays inspired by the rearing ominous stance of a hypnotized cobra. The exterior skin of these three dimensional light sculptures consisted of a proprietary combination of black screen and mesh. Housed within the art pieces lived thousands of LED’s programmed to perform an organic dance reminiscent of a floating, ethereal fire. To understand the spacial relationship of the art pieces within a boutique environment, we first mocked up a full size sculpture to get a sense of what it would feel like within the limited quarters of each international location. 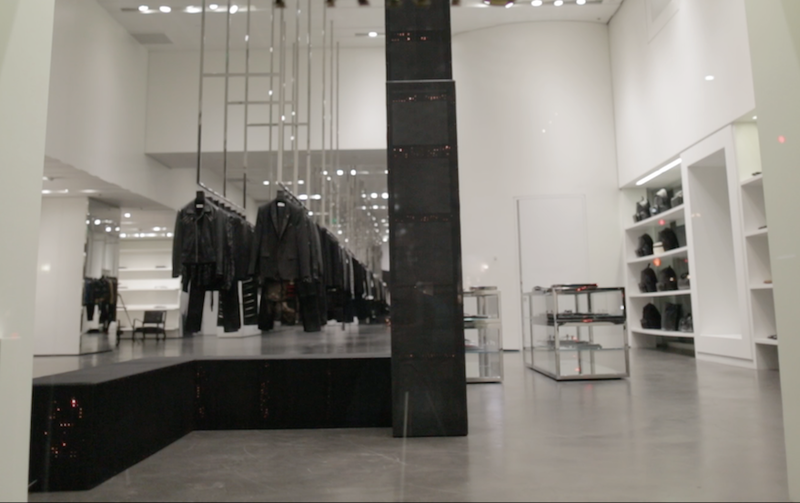 Saint Laurent wished to have their customers mesmerized without the feeling of being attacked. Once the necessary proportions were determined, our team of metal artisans created the skeletal structure within each individual sculpture piece. Multiple samples of mesh were tested to achieve the right balance of density and viewing angle, allowing costumers filtered glimpses of the interior of the structures. These interiors consisted of plates of LED’s stylistically arranged to represent the scale markings of a snake. Each sculpture piece contained thousands of LED’s interconnected in a programmable matrix. Like the silent slither of a serpent, these illuminating animations of light programmed in each piece were very fluid and sensual in nature. The animations also varied from country to country. For example, the light animation in France paid tribute to the light sequence witnessed on the Eiffel Tower. Some boutiques contained more than one sculpture piece. In these instances, the internal control systems within the sculptures were programmed to be in sync with one another just like the two 14 foot high sculpture pieces located in the YSL boutique on Rodeo Drive in Beverly Hills. With every piece brilliantly engineered for shipping and installation, this entire adventure became a charming success. We helped a 300 year old city tell their story.